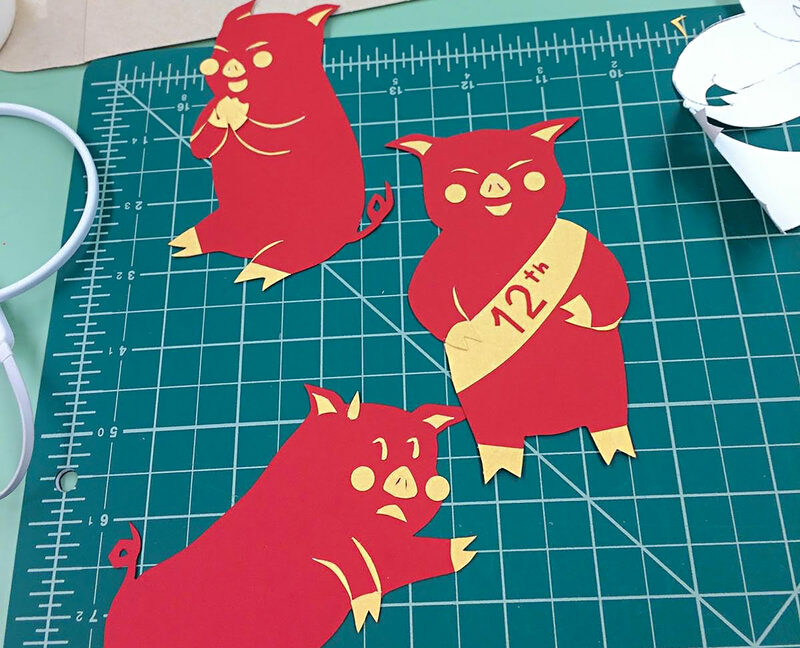 According to legend, the pig was the last to arrive in the great race of the Chinese Zodiac animals because he took a nap after taking a break to eat. 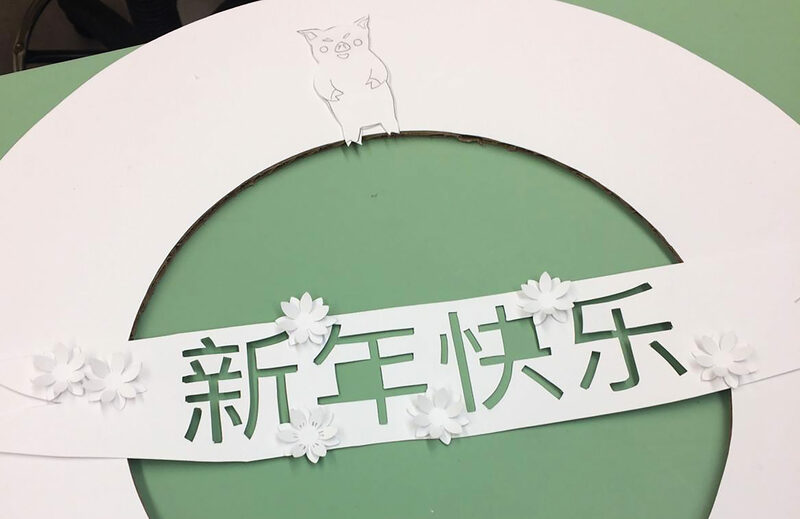 Unlike the pig, Langara’s design formation students skipped meals and lost sleep in their race to finish their Lunar New Year wreath projects in time for the annual auction. 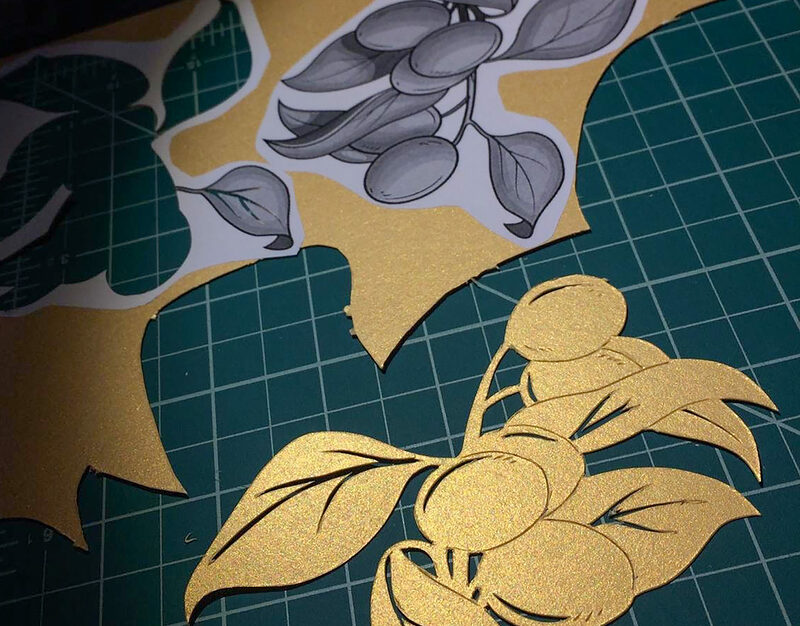 Working to recreate motifs that her grandparents used to celebrate the holiday, first-year student Cassidy Gee spent five sleepless nights cutting intricate designs into paper. “I haven’t celebrated Chinese New Year since my grandparents died several years ago. 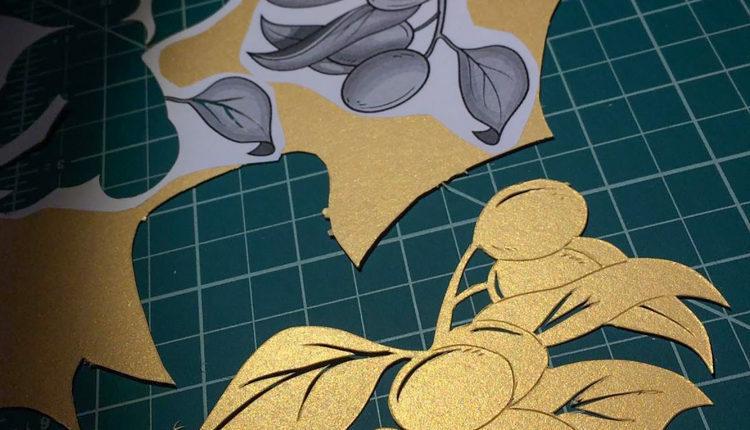 This project helped me reconnect with my culture and celebrate in my own non-traditional way,” said Gee. 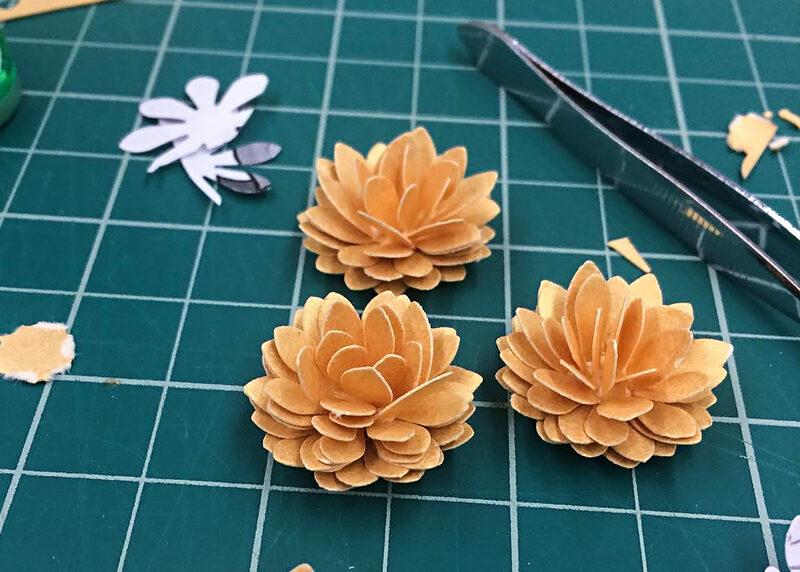 Gee, who is second generation Chinese-Canadian, said the wreaths may not look like a lot of work, but each flower on her wreath took an hour to create. 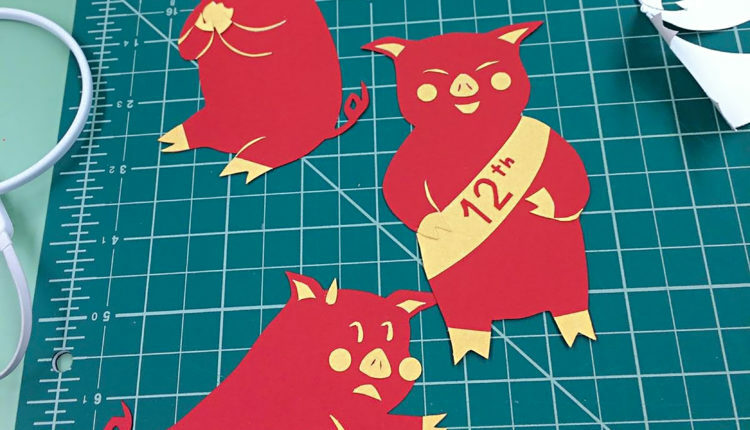 Rocha chose to retell the legend of the pig in a contemporary, festive way. 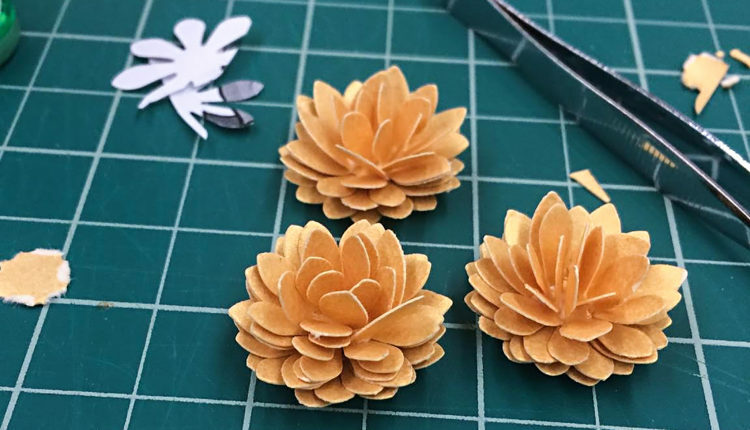 She used kumquats and chrysanthemums as motifs of good luck to accompany her playful pig figures. 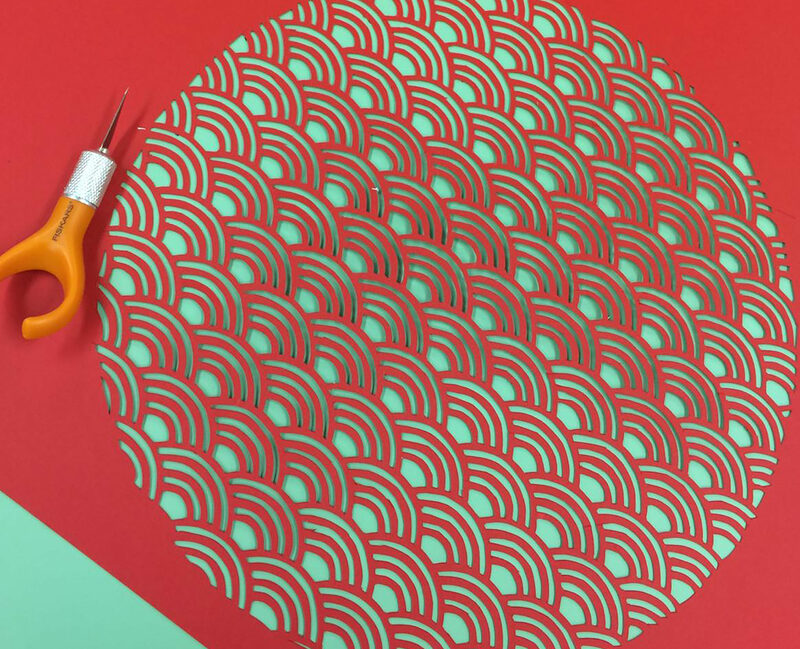 For Rocha, the most challenging aspect of this project was sticking to a theme when there’s so much rich imagery associated with Lunar New Year. There was little room for trial and error. 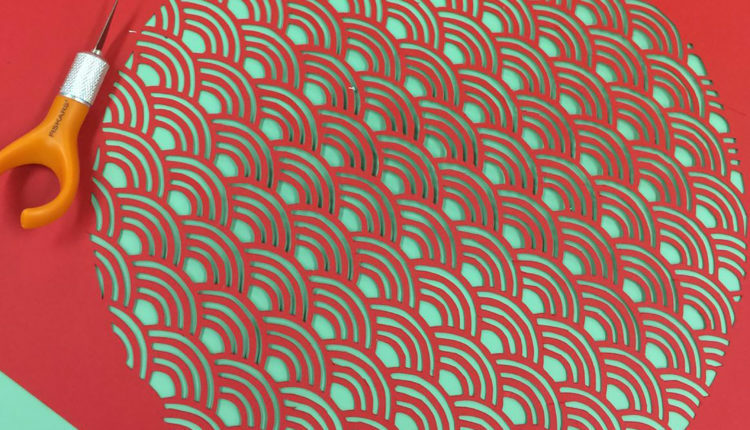 Each student was allowed only two sheets of red paper and one sheet of gold to make their designs. 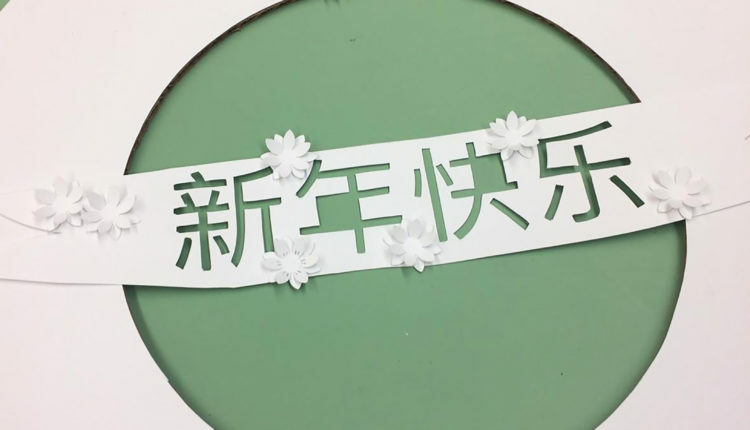 Instructor Kevin Smith, who teaches the class, said each wreath must showcase an original composition that tells a story using visual Chinese New Year motifs that students researched. Smith said the wreaths must also be marketable, because there’s the added pressure of the auction, which raises money for student bursaries. The auction earned $435 this year, Smith said. Fifteen wreaths found appreciative new owners, five of which were won in a last-minute bidding war by the Dean’s office.